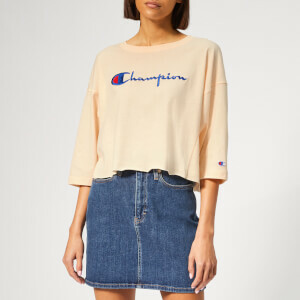 Cropped T-shirt from Champion. Cut from crisp white cotton, the tee features a ribbed round neck, ¾ length sleeves and a raw hemline. 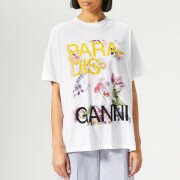 An embroidered logo motif across the chest completes the design.